On a visit to the antique car museum in Auburn, Indiana, John Phippen, of Napanee, Ontario, chanced upon an antique radio exhibit. The display of historical radio material attracted his interest, and he came away with a list of radio historians living in his area. Mr. Phippen wrote to me explaining that he had a small collection of radios and parts and enquired if I would be interested in it. What really attracted my attention, however, was a statement that his father, Scobell Phippen. had worked in the engineering department at Atwater Kent in the 1920s. Upon contacting John Phippen to obtain further information, I was pleasantly surprised to discover that his father, now 90, is still alive. Scobell Phippen, while slightly hard of hearing, is in good health. I found his rather dry sense of humour very engaging, and marvelled at his ability to recall in detail events of 70 years ago. During our pleasant afternoons of conversation, it became quite obvious to me that Scobell Phippen's radio activities of the J920s remain very important to him. The opportunity for me to discuss this aspect of his life with him and to present it in this article was doubly rewarding. William Scobell Phippen was born in 1901 near Napanee, Ontario. a quiet community on the north shore of Lake Ontario, about twenty miles west of Kingston. He was strongly attracted to the emerging science of radio and, like many of his contemporaries, a keen experimenter. After trying many versions of crystal sets, Mr. Phippen built his first "real" radio using an Armstrong regenerative circuit with triple de Forest honeycomb coils and holder, Murdock tuning condensers, a Marconi V24 vacuum tube, and a Brown headset. He made his own grid leak - the condenser from foil and wax paper and the resistor from ground up pencil leads and india ink. Due to cost considerations, the V24 tube was not mounted in a socket - it was suspended vertically from the filament connections on either end of the tube. He obtained the "commercial" parts by m order, the honeycomb coils and holder from F.D. Pitts in Boston and the remainder from a supplier in Ponders End, Middlesex, England. Despite the fact that he last saw one in the 1920s, he pointed out that the V24 tube in Fig. 6 is upside down! Scobell Phippen, whose family lived about 14 miles from Napanee, communicated with another Napanee enthusiast. Bill Caton. Figure 2: The AK Plants in Germantown, Philadelphia. Their regenerative sets functioned both as receivers and low power transmitters. They would select a broadcast station for use as a "frequency standard" and, with a suitable frequency offset, adjust one set to receive normally and the other to oscillate (transmit). Modulation of the "transmitter" was accomplished with an old telephone transmitter in the ground circuit. Despite the obvious legal implications, this scheme seemed to work over short distances. KDKA in Pittsburgh was often the "victim" of such intrepid experimenters. Scobell Phippen was a member of the ARRL, which he refers to as the "Awful Racket Raisers League," and had the call 3HA. If you examine Fig. 1 carefully, you will see that he is proudly wearing his ARRL pin. At this time, Scohell Phippen recalls hearing 9AL in Toronto (E.S. Rogers) and the long-wave US time signal station at Arlington, Virginia. In the early l920s he attended Queen's University in Kingston, Ontario (about 20 miles east of Napanee), where he took one semester of a general arts program, for at the time, this was the normal prerequisite for an engineering education. Apparently one semester was quite enough, and he left university to find his fortune in the world of electricity and radio. 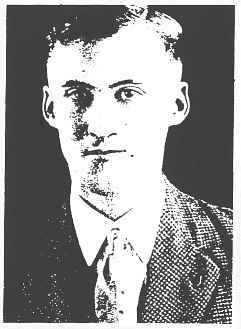 Mr. Phippen travelled to Pittsburgh about 1924 to investigate employment possibilities with Western Electric. As a result of this he took a job with Western Electric in Detroit where he worked, from 1925 to 1928, as an installer in telephone exchange offices. At the time, the offices were converting from the "old" manual exchanges to "modern" dial units. 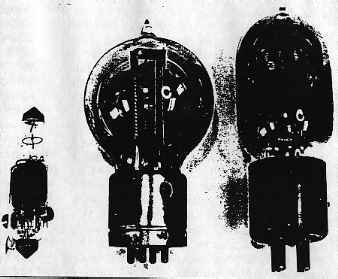 Although not directly connected with radio, his association with Western Electric provided a good source of components which were useful in the radio art, principally speakers and WE216A tubes. Mr. Phippen's laboratory duties shed new light on a subject of interest to radio historians. The "gas-filled rectifier tube" mentioned above is the only tube ever to bear the Atwater Kent name - the famous AK607 cold cathode rectifier tube used in the model B (60 cycle) and S (25 cycle) power units. Under Jack Metzler's direction, Scobell Phippen performed life tests on sampled lots of these tubes using a spectroscope to observe the spectrum of the ionized gas in the tube, as this provided an indication of tube condition. The B and S power units were not a commercial success, however, largely due to the AK607 tube itself. Ralph Williams has observed that "it is hard to believe that this tube would have produced a good rectification characteristic because its strike potential was greater than 230 volts. Such a high voltage would require very large filters to remove the high strike transient. Altogether, the B-power eliminator was not a very satisfactory product for its purpose when compared with other B-eliminators available on the radio market. "(2) Mr. Phippen recalls that the gas involved was probably helium. He is not certain who actually manufactured the tube but suggests it may have been Sylvania. The testing was done in an AK building "near Fisher Station on the Reading Railway." 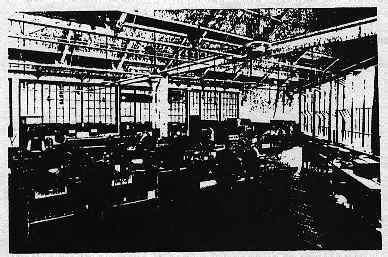 When the unsuccessful power units were dropped from the product line (they were replaced by units using the 280 full-wave thermionic rectifier), Mr. Phippen was relocated to the Engineering Department in the main 15-acre plant building on Wissahickon Avenue (Fig. 2). He studied a photograph of the Engineering Department (Fig. 3) and commented that the technician's work area was just off the photo to the left, while the engineers had their desks along the wall with the outside windows to the right. He observed that since everyone in the photo was unsporting enough to have his back to the camera, he cannot recognize anyone, and it is probably just as well enough to have his back to the camera, he cannot recognize anyone, and it is probably just as well that he cannot be recognized in the photo as this probably makes it a better picture! I visited the site in 1987, and the original plant building still stands, with the "Atwater Kent Manufacturing Company" sign still over the main entrance. The building has been converted to multiple-use, and is, in the main, vacant. Scobell Phippen found the engineering lab a good place to work. Relations among staff members were cordial, and he used the term "nice person frequently when describing his associates. The chief engineer at the time was Frank Aiken, of whom he had very good memories. He recognized a photo of Albert Silva (3), an engineer who worked in the same lab, and remarked that Silva had an associate named Sam Place. He remembers John Dreyer as a "stout" fellow with a pleasant personality who was mainly involved in experimental work. Other contemporaries in the laboratory included John "Doe" Miller (after whom the "Miller Effect" is named), Clarence Tuska, Sarkes Tarzian, Harry Weaver, Kenneth MacLaughlin and a Mr. Fossett. As a regular part of his laboratory duties Scobell Phippen was involved with Kenneth MacLaughlin in "analyzing" competing sets (his term for what we now call reverse engineering). The principal rival of the time was Crosley, described as "that outfit from Cincinnati". AK had a listening room in the lab where technicians could set up various combinations of receivers for blind listening comparison tests. Atwater Kent was very critical of sound quality and often attended these test sessions - indeed he spent a lot of time in the Engineering Department in general. The Engineering Department also did loudspeaker testing using a microphone and audio amplifier to subjectively assess the sound quality. Scobell Phippen, judged to have a suitable accent for doing these tests, spent a lot of time "talking into the mike." This was the era of the "Golden Voice"! Figure 4: Phippen's Lab Book - AK35 & 55. Despite his well known aversion to paying royalties, Atwater Kent had been interested even had some early Leutz equipment for "analysis". By 1928, however, it was considered obsolete. Mr. Phippen recalled having come across Leutz's name but did not recognize Charles Leutz's picture. 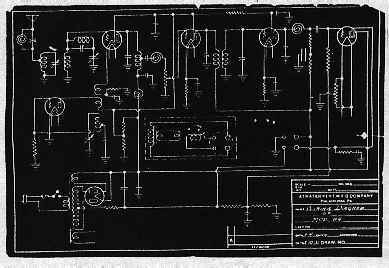 The AK lab files -contained blueprints for early superheterodynes from Experimenters Information Service, Leutz's company. Scobell Phippen remembers Atwater Kent as a friendly individual, technically competent and a good business man. Each Christmas he sent the staff members Christmas cards, often enclosing a $2 gift. Kent's son, Arthur Jr., came around the lab "quite a lot," and Scobell recalls him as a "nice boy, rather tall." Scobell was quite surprised when he learned that he has outlived Arthur Jr., and wondered what became the other family members. Scobell has a distinct recollection of one side of Kent's personality that lab staff found amusing (but not openly of course! ), t~amely a touch of vanity. While addressing the engineering department he would speak in a manner he thought "cultured": for example, he would pronounce the word "brass" with a soft "a" in the English manner, rather than with the more usual North American hard "a." Occasionally he would forget and revert to his Vermont and Worcester Polytechnic pronunciations, and that is where the amusement came in. Others have noticed this trait, as Kent had described his father as a doctor rather than the machinist he was (4). He apparently worked hard to gain acceptance by Philadelphia society. Scobell had occasion to go to the Kent mansion in Ardmore, Pennsylvania. During one of his visits there, an incident concerning Graham McNamee, the famous NBC announcer left him puzzled. At the very time McNamee was supposed, according to the press, to be up in a blimp giving radio coverage of a review of the fleet by Herbert Hoover, he was observed by Scobell in the mansion being entertained by Kent. He apparently got away with the ruse, as nothing ever came of it. Scobell Phippen's association with Atwater Kent continued until 1931, when the engineering department was dissolved. He, along with the rest of the engineering staff, was advised by Mr. Kent that "his services were no longer required." He then packed up and moved back to Napanee, taking with him an assortment of memorabilia covering his stay in Philadelphia. This consisted of some then-current receivers (including models 84 and 89), factory blueprints and engineering department drawings for these sets and others, and a selection of tubes and spare parts. When I suggested that after his departure things went downhill for the company until the closure in 1936 he just smiled. He visited Philadelphia in later years and recalls the plant had been acquired by Philco. Jack Metzler also returned to Canada, and later worked on the development of proximity fuses at the start of WWII. Figure 5: AK Factory Blueprint - Model 84 Cathedral. After his return home Scobell Phippen found it difficult to obtain work, as the depression was in full swing. After several unsuccessful attempts to gain employment in the radio field, he eventually took a chartered accountancy course in Toronto and became the bookkeeper at the Napanee Iron Works, a position he held until his retirement in 1960. I would like to acknowledge the time, materials and assistance freely given by the Phippen family. Alan Douglas Provided Fig. 3, (5) and suggested several avenues of exploration. Roger Hart lent the V24 tube and Philip Neufeld assisted with the Photography. 2.Ralph Williams,"A. Atwater Kent - The Man, the Manufacturer and his Radios",Part XXIX, Radio,(November I 979):4-7. 3.Donald Patterson,"Albert D. Silva: Radio Pioneer",Radio_Age,(October l990):1-4.